Moving to Europe - Compare International Movers & Save up to 70% ! Getting ready for an international Moving to Europe can be a very exciting, but also a very stressful time. You have hundreds of things to do before your move and so it is important to try and get yourself as organized as possible beforehand. 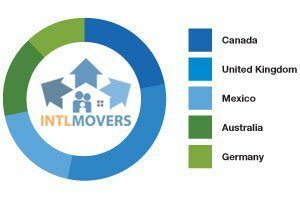 With Intlmovers, we help you quickly and easily find a number of expert and professional international movers to help you with your home or business move. You can save yourself time and money by requesting a number of customized quotes from local moving specialists in Europe.By comparing quotes, you can easily see the different services and additional value that different moving companies in Europe can offer you. Additionally it will allow you to choose the right company to suit your needs and your budget. Avoid all the searching and chasing around, and compare quotes from international movers in Europe now. Helps you finding the moving company with the best value! 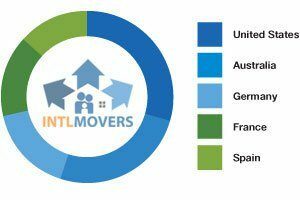 International movers in Europe are logistical specialists. Their main business goal is ensuring safe, cost effective and efficient movement of your goods to and from locations all across Europe. While you compare quotes, keep in mind that international moving company you choose is an industry professional providing top quality service and customer satisfaction. All quotes that are provided by the international moving companies on this site are done so without any obligation whatsoever. We want you to feel 100% confident with your choice. If you feel that none of the quotes that you receive quite meet your expectations, you are under no obligation at all.